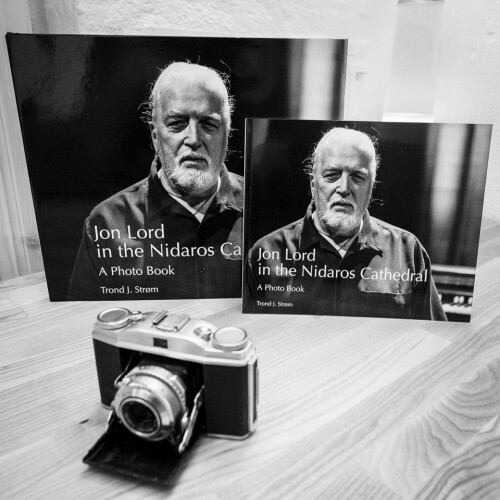 A photo documentary by THS editor emeritus Trond J. Strøm Jon Lord in the Nidaros Cathedral is now available as a photo book. The book contains 58 photographs on 46 pages documenting Jon’s rehearsals at the Nidaros Cathedral in Trondheim, Norway, before his gig on May 23, 2010. You can preview the material at the author’s website, through which you can also order the book in any of the 4 formats. All profits from the project will be donated to the Norwegian Cancer Society. Thanks to Trond for the info. Posted by Nick Soveiko on Wednesday, November 11th, 2015, filed under News. You can follow comment on this post through the RSS 2.0 feed. You can skip to the end and leave a comment. Pinging is currently not allowed.